The crypto-currency may have taken a step toward legitimacy but global financial regulators are warning about the risks of investing in it. With the final verdict of the FinTech fraternity still awaited on this new age financial instrument, what is certain is that it has attracted a lot of celebrity attention. Right from Amitabh Bachchan to Paris Hilton, the crypto-currency fever has spread like wildfire. 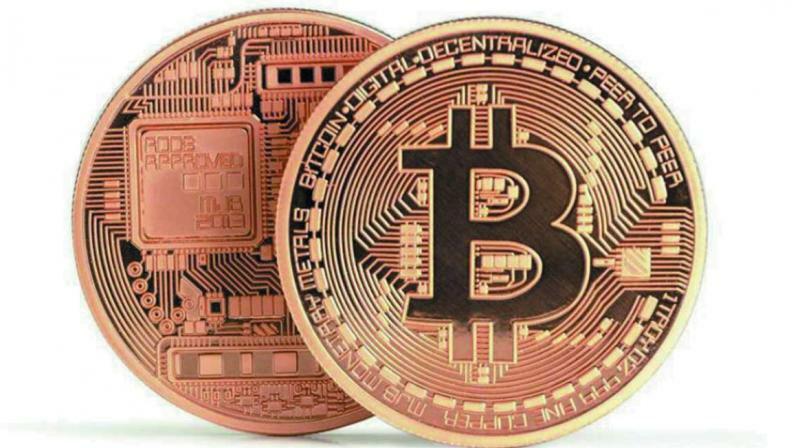 While Bitcoin investors like Gupta feel the crypto-currency is gaining increasing legitimacy, others feel it is a highly volatile, New Age ponzi scheme in its very early days. In fact, its volatility is also a financial risk that most Governments cannot control and developing economies like India are not technologically mature enough to handle. Investing in Bitcoin is currently a high risk-high reward proposition, which many fear could destabilise economies. “It is an investment like any other (stocks, bonds, real estate), and the motive behind any investment is to get returns. Bitcoin has yielded returns excessing more than 1000 per cent in the last 18 months. This kind of returns on investment are unheard of and world governments are understandably a bit vary of the hype. Governments feel the need for a regulatory frame work to avoid future crises,” says Vinod Ranka, MD, Avni Tech Ventures Pvt. Ltd.
Will it become a mainstream currency? Will its popularity wane? “Bitcoin is legal almost everywhere in the world, including in India. As per a latest RBI circular, Bitcoin is neither legal nor illegal and its holders are subject to potential legal and financial risks. Japan has adopted it as a mainstream currency and the government is even open to collect taxes via bitcoins and crypto-currencies. Bitcoin banks and ATMs are coming up with over 2,000 BTMs in the US alone. It’s legal in the US, with ETFs and the futures market, it has opened the doors to institutional investors,” says Surana. “There is huge volatility in its prices because of a lot of speculators in the market; but Bitcoins overall future prospects are good. As more people start using this as a mode of payment, the price of this currency is bound to explode,” says Ankit Doogar, chartered accountant and managing partner at MSA & Co. It is predicted that there will just be 21 million Bitcoins for a world population of more than 8 billion, 90 per cent of whom will have digital access. “Bitcoins are limited to 22 million coins, which makes it rare. The blockchain protocol is 500 times more than the entire world computing power and is increasing exponentially unlike fiat currency, which is just a piece of paper,” explains Prashant Surana, founder of Snapper Technologies, India’s most promising blockchain technology company according to the CIO 2017 awards.